When the Amazon Fire Phone was released almost a year ago, it was one of the worst flagship phones. Then again, it was being sold for $649 off contract, or $199 with a 2 year contract. 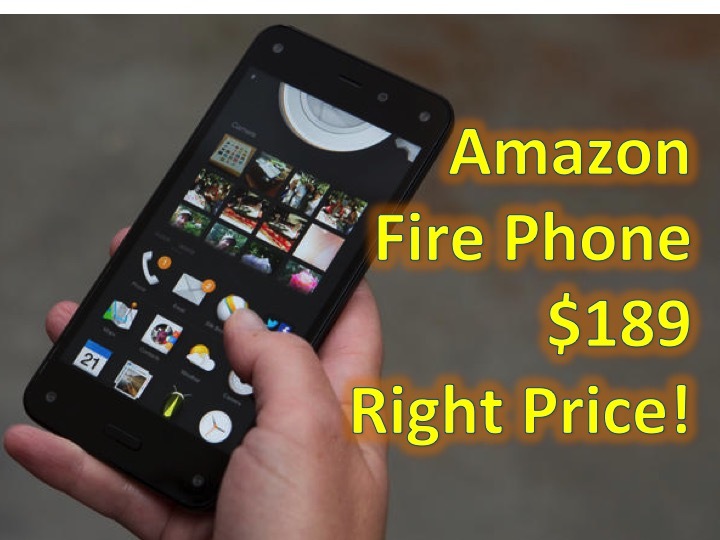 Fast forward to May 2015, and the Amazon Fire Phone is now available unlocked for $189 and includes one year of Amazon Prime (a $99 value). Just a quick recap, Amazon Prime gets you 1 year of 2 day shipping on most items available on Amazon, access to Prime Instant Video, Prime Music, unlimited photo storage, and 1 free Kindle book a month). Battery size: 2400mAh. Talk time: up to 22 hours; standby time: up to 285 hours. Video playback: up to 11 hours; audio playback: up to 65 hours. Here is our favorite review of the Amazon Fire Phone , and they summed it up best, “Right Phone, Wrong Price”! This along with the Blu Studio 6.0 HD, is making our list of favorite smartphones under $200!